THE PILL™ is a unique Autoclave Deodorizer Capsule that works by odor neutralization – not just a perfumed mask. THE PILL™ works by chemically neutralizing the foul malodors created when autoclaving biological samples. AUTOCLAVES STINK – by placing one PILLTM in a beaker of water inside a 7 cubic foot autoclave with a full load of soiled material you can completely eliminate the odor. Gelatin encapsulation makes for perfect unit dosing and prevents tainting of the skin or clothing with the pungent deodorizer material. Every autoclave user needs THE PILL™! Each PILL™ contains concentrated odor neutralizer liquid. In our experience and based on in-house testing and customers’ reports the use of THE PILL™ to deodorize sensitive tissue culture glassware presents no problem. We are unable to trace detectable levels of the deodorizer material deposited on glassware after exposure to a vaporized PILL™. 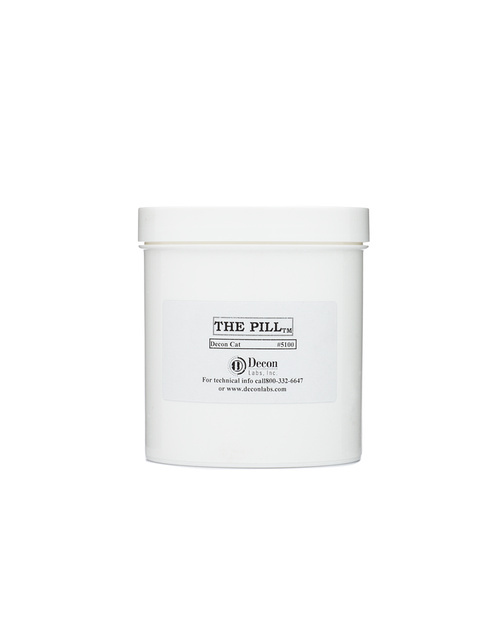 We have seen THE PILL™ used frequently for deodorizing techniques in autoclaves, incubators, refrigerators, and similar closed apparatus where tissue culture ware may be used or stored.